It sort of goes without saying, considering the Royals’ recent history, but the competitive DNA of this organization has become even more apparent since the tragic death of right-hander Yordano Ventura on Jan. 22. The Royals’ ensuing signings of first baseman/outfielder Brandon Moss, right-hander Jason Hammel and left-hander Travis Wood to two-year contracts indicate that the team is not conceding this season or next. Nor, according to major-league sources, is the club conceding the departures of its top potential free agents — first baseman Eric Hosmer, third baseman Mike Moustakas, center fielder Lorenzo Cain and shortstop Alcides Escobar. Will the Royals sign all of them? No, and they actually might prefer to replace Escobar internally with Raul Mondesi. Still, club officials do not consider it a foregone conclusion that they will lose both Hosmer and Moustakas, even though the agent for the two players, Scott Boras, generally prefers his clients to establish their values on the open market. The Royals, under general manager Dayton Moore, have beaten the odds before. Few thought they would sign right-hander Gil Meche as a free agent in Dec. 2006, buy out two years of Zack Greinke’s free agency with an extension in Jan. 2009, or re-sign Alex Gordon as a free agent in Jan. 2016. Granted, none of those players was represented by Boras. What’s more, Hosmer, Moustakas and Cain might prove the most coveted players at their respective positions in the free-agent class of 2017-18. On the other hand, left-hander Danny Duffy professed a special affinity for the Royals and for Kansas City upon signing his recent five-year, $65 million extension — and he is not alone in those sentiments. The bond between the Royals’ players, franchise and community — forged by back-to-back World Series appearances, and perhaps made deeper still by the loss of Ventura — is that strong. 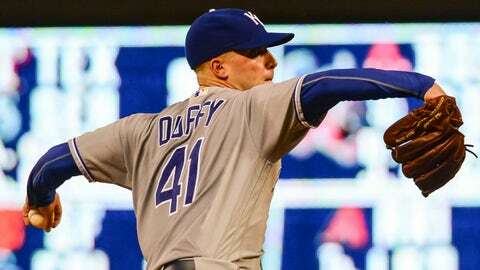 Of course, these things always come down to money, and Duffy — who has yet to make 27 starts or pitch 180 innings in a season — was smart to grab his $65 million. But that signing — plus the signings of Moss, Hammel and Wood for a combined $40 million — were proof of ownership’s willingness to spend, in certain circumstances, on players the front office recommends. Each of the free-agent deals was back-loaded, costing the Royals a combined $12.75 million in 2017 payroll. The team had about $2.5 million to spend before Ventura’s death, sources said. 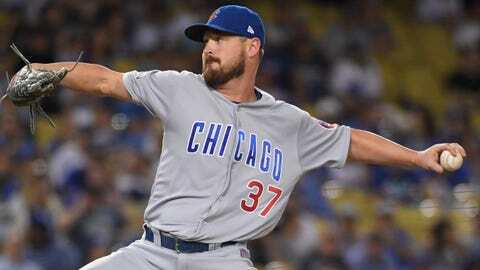 Through insurance or the voiding of Ventura’s contract, it will recoup most or all of the money the pitcher was owed — $3.25 million this season and a combined $16 million in the following two. The net increase in 2017 payroll, then, might only be about $7 million. Hosmer, Moustakas and Cain each will require significantly larger investments, and it’s entirely possible that the Royals will lose all three. Still, the open market this offseason was unpredictable, the increases in the new luxury-tax thresholds were relatively small and teams next winter might prefer to wait for the great free-agent class of 2018-19. The Royals’ executives are relentless and intensely competitive. They are not going to concede a season. They are not going to concede on Hosmer, Moustakas and Cain. The Cardinals, after losing Alex Reyes to Tommy John surgery, do not expect to pursue a free-agent starter such as right-hander Doug Fister or Jered Weaver. Club officials believe they can cover Reyes’ lost innings with internal options — Michael Wacha, Luke Weaver, Tyler Lyons, Marco Gonzales and possibly Trevor Rosenthal, who will work as a starter this spring. Reyes, 22, likely would have opened at Triple A and performed under a soft limit of around 160 to 170 innings. 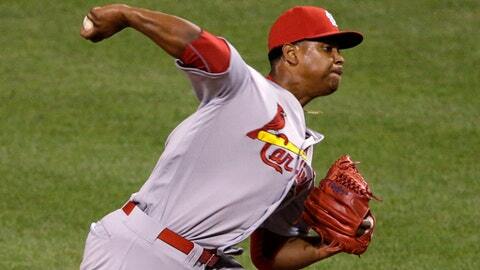 The Cardinals expected him to make an impact at some point; Reyes, after making his major-league debut last season, had a 1.57 ERA in 46 innings. The larger question for the Cardinals is whether there is a common denominator in their run of Tommy John surgeries, other than the fact that all teams struggle to keep their pitchers healthy. 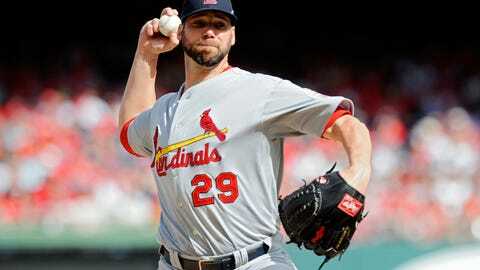 The Cardinals’ TJs include Chris Carpenter in 2007, Jaime Garcia in ’08, Adam Wainwright in ’11, Jason Motte in ’13, Lance Lynn in ’15 and Gonzales in ’16. But the Cardinals, according to research by Jon Roegele of baseballheatmaps.com and analysis by Stan Conte of Conte Injury Analytics, actually ranked on the low end in TJs for major-league pitchers between 2010 and ’16. The Athletics led the majors with 12, followed by the Braves and Padres with 11. The Cardinals had five, which was tied for 16th. “I feel like the reason ours gets magnified is because of the profile of the pitchers we’re losing — when you’re thinking about Chris Carpenter, Adam Wainwright, Jaime Garcia, Lance Lynn and now Alex Reyes, these are recognizable names,” Cardinals general manager John Mozeliak said. 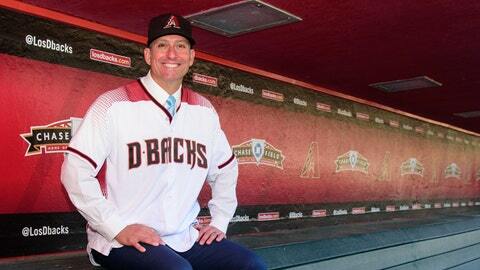 Torey Lovullo recalled the feeling. It was the same feeling he had when his good friend, Red Sox manager John Farrell, informed him that he had lymphoma in Aug. 2015. At the time, Lovullo was Farrell’s bench coach. Last week, as a first-time manager with the Diamondbacks, he learned that his own bench coach, Ron Gardenhire, had prostate cancer. 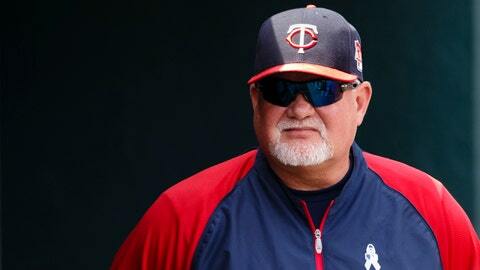 Gardenhire expects to undergo surgery in mid-April and be away from the team for 3 to 6 weeks. The team is expected to name his replacement shortly. “John obviously was very close to me,” Lovullo said. “But it still feels the same. The friendship between Lovullo and Farrell dates to 1993, when they were teammates with the Angels. Lovullo and Gardenhire, on the other hand, barely knew each other before joining the D-backs, though they did serve together on Farrell’s coaching staff in the 2014 All-Star Game. “Through the time I’ve gotten to know Gardy personally — add on to the years I felt like I knew him from across the dugout — it’s still a strong connection and a bond that has left me sad for him and (his wife) Carol,” Lovullo said. “They have a lot they’re going to deal with. I know kind of what the process is, what they’re going to be walking through now for the next several months. I know Ron has a great support system. I know he’s going to count on his wife and his friends and his family to get him through these tough times. 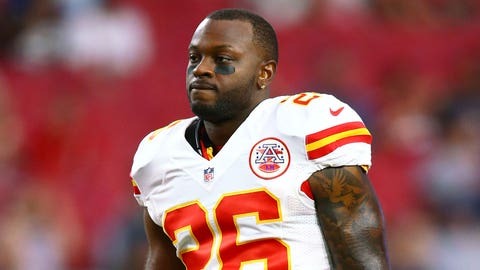 Here’s a report from a scout who recently saw Sanders Commings, the former University of Georgia and Kansas City Chiefs defensive back who wants to switch sports and become a professional baseball player. “He’s an ‘80’ athlete,” the scout said, referring to the high end of the 20-to-80 scouting scale. “He’s really fast, incredibly athletic. And for a guy who hadn’t played in (almost nine) years, he was definitely a pleasant surprise. He’s got a feel at the plate. He put on a really good BP, showed a little power to the pull side. “Obviously, he can fly — he’s like a 4.1 down the line (well above-average for a right-handed hitter). In the field, he can throw. His arm is probably a tick below average, but he has really good carry and is surprisingly accurate for someone who hadn’t played. He definitely has enough arm to play center and left. The Rangers are interested in Commings, according to the Dallas Morning News. The Braves also are intrigued, sources say — Commings is from Augusta, Ga.
ASSOCIATED PRESS/Copyright The Associated Press. All rights reserved. Moore said he liked Wood out of Bryant H.S. in Bryant, Ark., back when Moore was the Braves’ assistant GM and involved with the draft. The Reds selected Wood in the second round in 2005. Nearly 12 years later, in free agency, Moore finally got his man. — Among the remaining free agents, infielder Kelly Johnson is a particularly curious case. Johnson, who turns 35 on Wednesday, batted .268 with a .787 OPS and nine home runs in 201 plate appearances after the Braves traded him to the Mets last June 8. So, while Johnson’s age works against him, his performance should not. 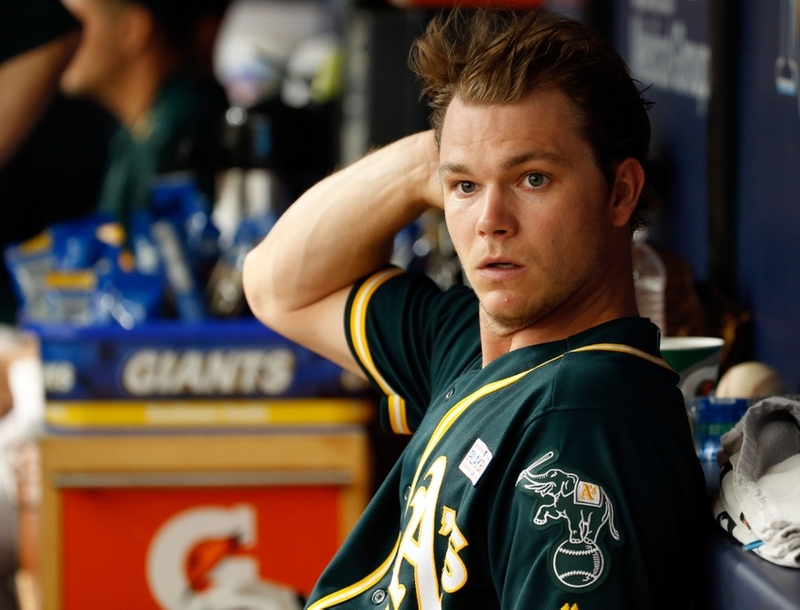 He is a major-league player who warrants a major-league contract.